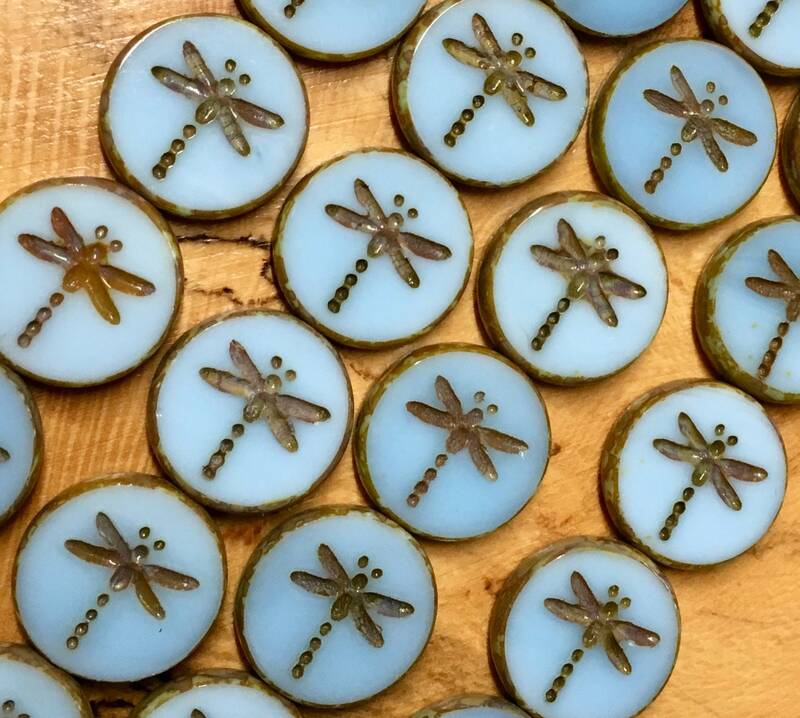 4 sky blue Dragonfly Chunky Czech Pressed Glass Carved Table Cut damsel fly or dragonfly Coin Beads with Picasso Finish. Beads measure 17mm. You will receive 4 beads.